Two years ago, I visited the County for a quick getaway, and despite the rainy weather we had, I loved the one-night trip, but it was a pretty quick visit. I visited again last year on a food tour, and that was fun and delicious but it was a whirlwind and I was overwhelmed by a food coma. So I was super keen to head back now that summer is here. 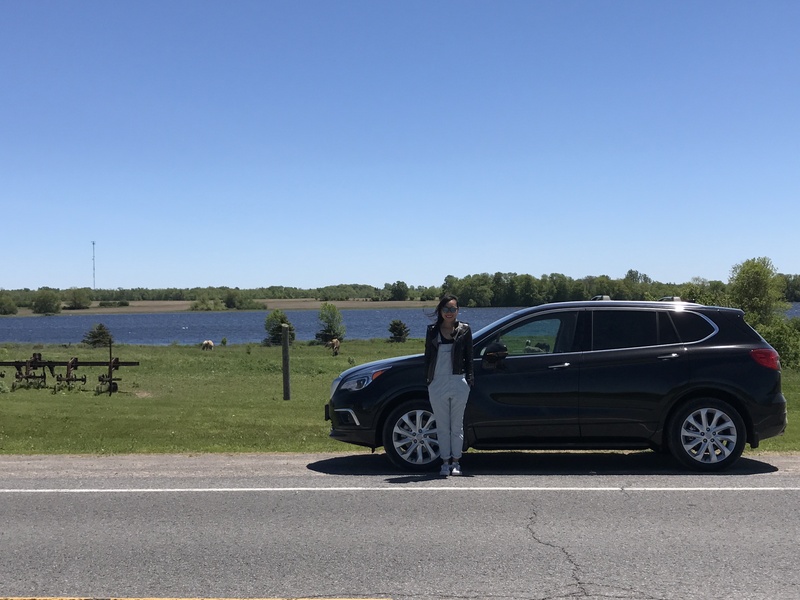 For my first visit this summer, I grabbed one of my wine-loving girlfriends and got to test drive a Buick Envision for the trip. I drove this car before in Alberta, and maybe it was the quiet and wide open roads there that made the difference, but I did find that the Envision felt rather large (but that’s probably just me and having not driven regularly in awhile — my friend didn’t find it felt like a large vehicle) but I did get more used to it the more I drove it. The more I test drive different cars, I’m noticing (and appreciating) features I may have overlooked in the past. And since I’m lucky enough to get some pretty nice wheels to try out, I’m getting used to these features and finishes — I recently had a “regular” car rental, and I thought, “Where’s my Blind Spot Assist? ?” and the interior of this rental car felt more plastic-y. Another feature I thought was interesting? The driver’s seat vibrates to warn you if you get too close to the car in front of you; it’s called Safety Seat Alert. I’m not sure if I found it super helpful (and I know my friend found it too jarring); at times I did find it on the sensitive side (it’d alert me with a light on the dashboard and the seat vibrating, but the vehicle it was warning me of was quite far away–but I guess the point is to give you enough time to avoid having an accident). Possibly the feature I discovered this trip that I found most useful is Rainsense. The window is equipped with a sensor that measures how much rain is coming down, and it automatically adjusts the frequency of the wipers. 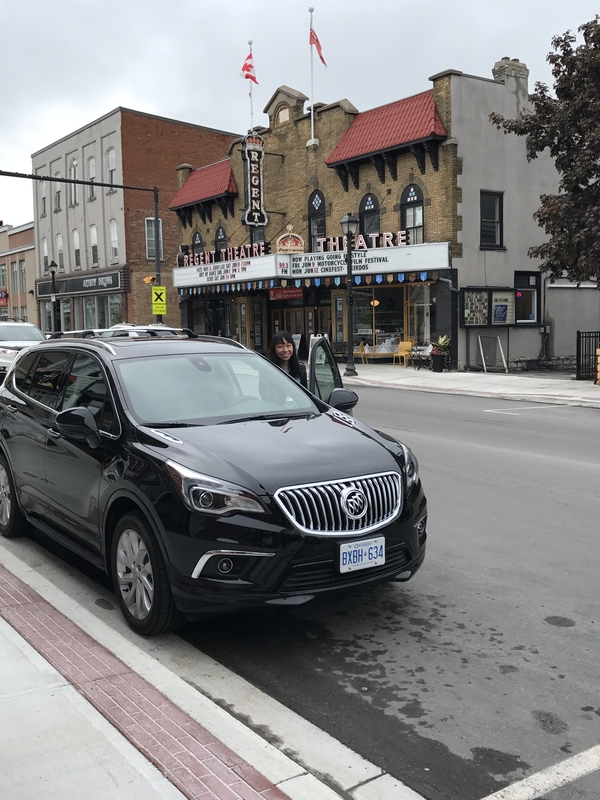 The Envision turned out to be just right for my girlfriend getaway to Prince Edward County. Sleek enough for us city girls, but with loads of safety features that I appreciate as an only semi-frequent driver. Stay at The June Motel. The wine bar in the lobby and all of the rooms I’ve seen at the June Motel (we stayed in two different ones during our visit) have me plotting to completely revamp my space at home. If you don’t stay here, at least pop in to enjoy a glass of wine at the wine bar. 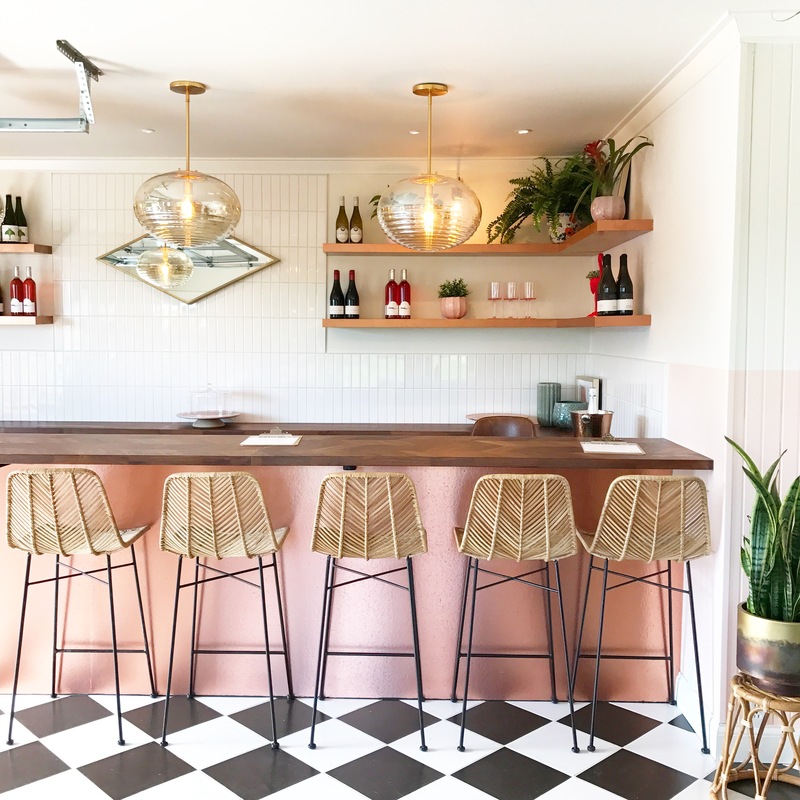 Besides the motel being gorgeously decorated, the owners, April and Sarah, are two great girls in their 30s who’ve totally started brand new lives for themselves as moteliers in Picton. How cool is that? I’ll be blogging about them and the June soon. Shop at the Perfect Lil Bake Shop. 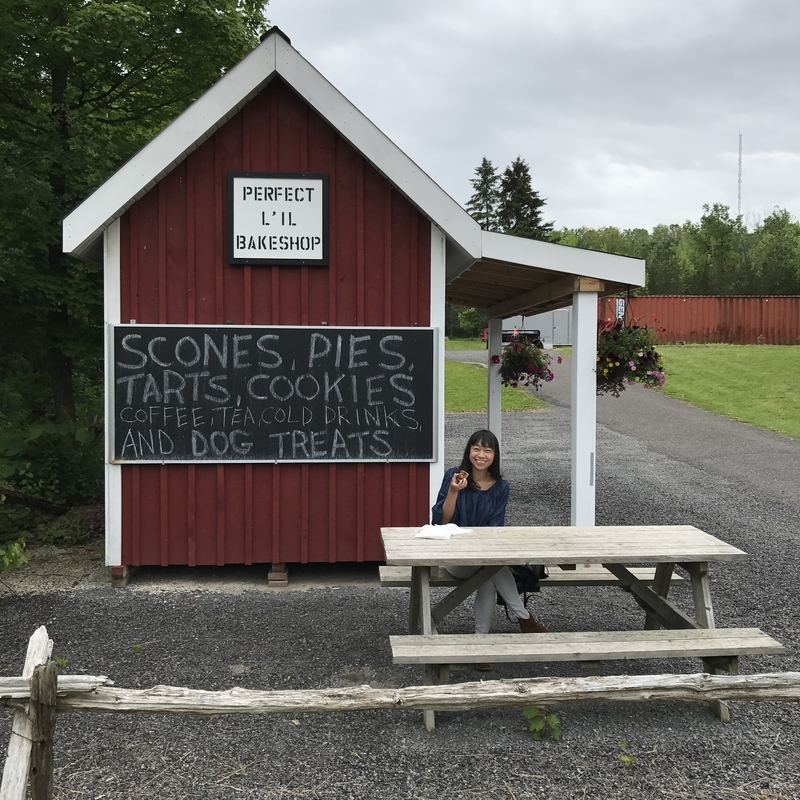 Just up the road from The June is this adorable red shack that is the Perfect Lil Bake Shop, where there are fresh homebaked goods (including pies, squares, cookies, bars, dog treats and more) and you pay by the honour system. That’s right, there’s a jar with cash and you pay just like that. For a city girl like me, that’s fascinating. I love their pecan squares, and the strawberry rhubarb pie I shared from there is great, too. And Billie Jean gives their dog treats two thumbs up (do dogs have thumbs?). Do a tasting (and buy) of wine and cheese Lighthall Vineyards. We stopped into Lighthall Vineyards, which you’ll find on the more low-key side of the county east of Picton because April and Sarah at The June recommended it. We did the cheese and wine tasting; forgive me, I did not take notes–but I believe we tried four cheeses, each paired with a wine, and then one more additional wine. I wanted to buy everything, but I limited myself to the manchego-style cheese and a bottle of their Progression sparkling wine. I’m admittedly easily wooed when wineries have food you can ejoy while at a tasting; I love the crepes you can purchase at The Old Third, to name another fave. I have a running list of recos if you’re visiting the County and looking for some suggestinos, so let me know if you’re heading that way!